During a woman’s menstrual cycle, everything changes for the worst. In the Internet, women are depicted as slumbering dinosaurs, ready to go with guns blazing at whoever is irritating them. Although most of these illustrations and memes are for comic relief and are mere exaggerations, there are some truths we can learn from it. Dealing with it is filled with suspense, like watching your favorite sports team compete. 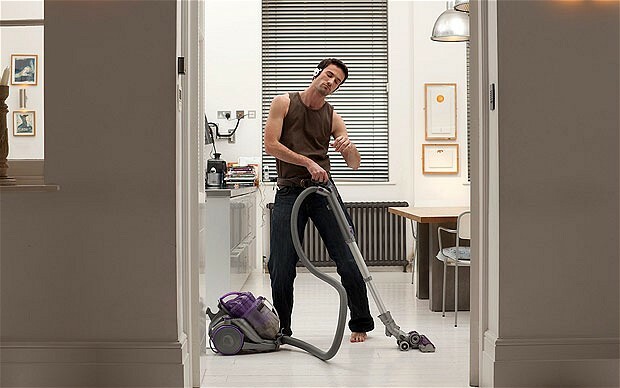 Offer to do the chores. Sacrificing a Saturday and asking her to rest up while you clean your home or apartment (since you’ll do the work on your own) will be appreciated. Plus, it avoids the possibility of her finding the pieces of popcorn you hid under the couch last week. Whip up an awesome dinner. Women are generally charmed by men who can cook, so be sure to prepare a healthy salad and a main course with only trace amounts of unhealthy fat for her – you could try cooking these vegetarian Thanksgiving dishes (if you have leftover ingredients). She’ll appreciate your effort, even if the dish did not end up the way it should have. Give her a day off with a gift certificate to the local spa. Let her indulge in different kinds of relaxing skin treatments which will surely make her feel refreshed and forget about the nuances caused by the crimson wave. Be like this man. 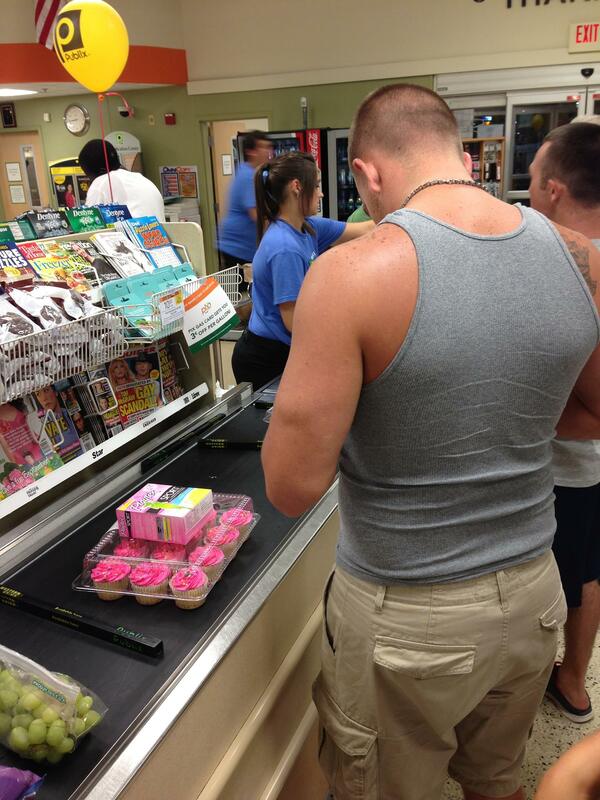 Buying tampons and cupcakes for a very fortunate woman. Though this can be taken literally, this statement means that you should offer her gifts when she’s in her flowers. Bring her a bar of chocolate when you arrive home, or better yet, give her sleepwear which will enable her to sleep comfortably despite her hot flashes. Bringing gifts and surprising her for no reason will definitely raise her spirits and make her feel loved. Think of gifts as a bribe and an offering: this is done both to appease her, and calm her raging emotions, especially during extreme mood swings. He’s the man! 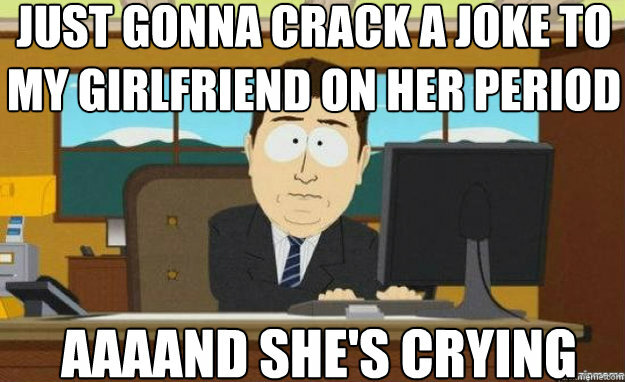 Photo from funnyjunk. 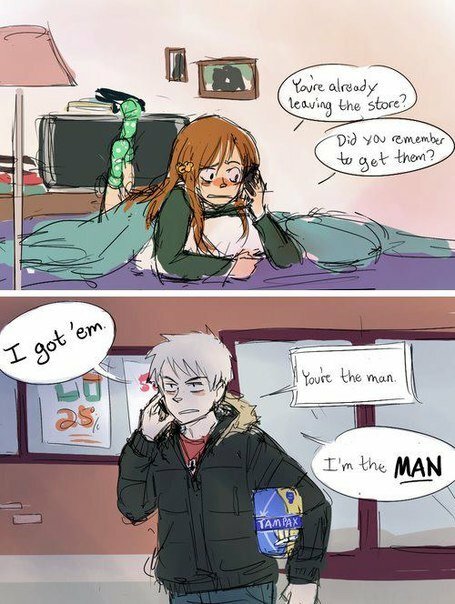 All men must buy tampons. It is a standard belief among many that the act of doing so is shameful and makes you “less of a man”, but hey, it doesn’t – it only makes you an awesome partner, and a keeper. Keep in mind that your girl may not be well enough to stop by to the nearest grocery store or pharmacy to get it herself. It is a chivalrous and a gentlemanly thing to do, and very fulfilling at that. Watch the jokes for the meantime. What she finds funny could come out as offensive during her cycle! Mark the possible dates and avoid scheduling conflicts, unless necessary. A week before her period, you’ll know that it’s coming because she will already be experiencing PMS, or pre-menstrual syndrome. Never attribute her mood swings and behavior to her period. You may just be acting like a total jerk, which is why she’s all riled up. Put up with it. If she’s in an extremely volatile state, don’t give her bad news or say anything that could make her explode. If you’re going out and if it she asks questions like: “Does this dress make me look bloated?”, try to avoid answering. If she persists, say “No, it makes you look beautiful”. These types of questions are recipes for petty conflict which can turn into a full-scale war. Be patient. Try not to argue with her. Instead, understand her situation and wait for it to pass.